Meanwhile the fire had caught the straw on the floor, and eleven drunken or wounded men lying in it had been burned to death, so that this wedding was generally agreed to have been one of the best they had had for years in Finnveden, and one that would be long remembered. 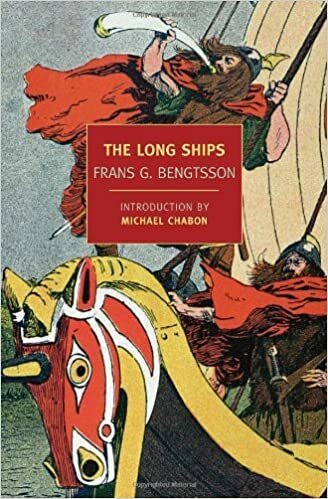 Sometime last week it occurred to me that, although I’ve been praising the book to people most of my life, it’s actually been decades since I read Frans Gunnar Bengtsson’s The Long Ships. 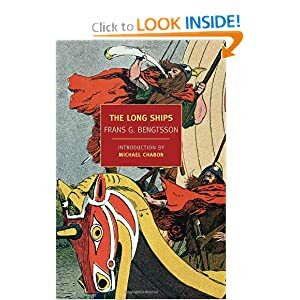 My old copy, printed in the 1960s, with a cover that doesn’t even appear on Amazon, is pretty much going to pieces, but it’s not terribly expensive to get a Kindle copy. It was one of the most exhausting weekends I’ve had in a long time, involving considerable interaction with other human beings, always a workout for me. But nevertheless it wasn’t a bad weekend. Two things that happened, in particular, pleased me inordinately.